Shop online for 135 white-ensign plastic models at discounts up to 46%. This is the 1/350 Scale B25 Detail Set for 10 Aircraft from White Ensign Models. This is the 1/350 Scale Wildcat, Dauntless, Devastator Cockpit Set for 10 Aircraft from White Ensign Models. This is the 1/700 Scale USS New Orleans Class Cruisers Detail Set for Trumpeter from White Ensign Models. 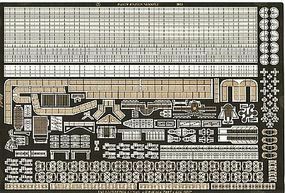 This is the 1/350 Scale USS Enterprise Detail Set for Tamiya from White Ensign Models. This is the 1/350 Scale S100 Class Schnellboot Detail Set for Trumpeter from White Ensign Models. 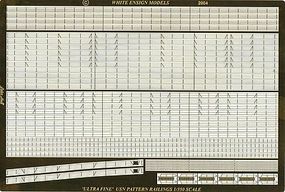 This is the 1/700 Scale 3-Bar Rails Detail Set from White Ensign Models. This is the 1/350 Scale USS Oliver Hazard Perry Class Frigate Ship Detail Set from White Ensign Models. This is the 1/350 Scale Modern USN Ultra Fine Pattern Railings from White Ensign Models. This is the 1/200 Scale USS Arizona Anchor Cable Plates Detail Set for Trumpeter from White Ensign Models. This is the 1/144 Scale USS Gato Class Submarine Detail Set for Trumpeter from White Ensign Models. This is the 1/350 Scale USN Cable Reels from White Ensign Models. 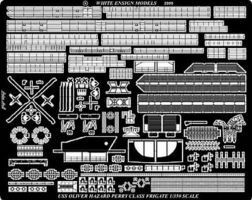 This is the 1/350 Scale Arleigh Burke Class Destroyer Detail Set from White Ensign Models. This is the 1/350 Scale Fairleads Open & Closed from White Ensign Models. This is the 1/350 Scale IJN Yamato/Musashi Detail Set for Tamiya from White Ensign Models. This is the 1/350 Scale Slava Class Cruiser Detail Set for Trumpeter from White Ensign Models. 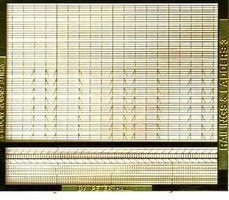 This is the 1/72 Scale Gato Class Submarine Radars & Antennas Detail Set for Revell from White Ensign Models. This is the 1/72 Scale Gato Class Submarine Conning Tower for Revell from White Ensign Models. 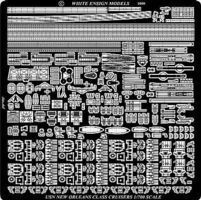 This is the 1/350 Scale Konig Class Detail Set for ICM from White Ensign Models. This is the 1/200 Scale Bismarck Portholes & Scuttles w/Eyebrows for Trumpeter from White Ensign Models. This is the 1/350 Scale Admiral Graf Spee Pocket Detail Set for Academy and Trumpeter from White Ensign Models.